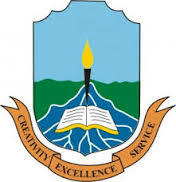 Niger Delta University [NDU] Sandwich Degree Programmes of the Faculty of Education leading to the award of B.A. (Ed) and BSc. (Ed) Admission Form, Requirements, Duration, Application Procedures for 2019/2020 Academic Session. Completed Application Forms should be submitted to the Office of the Director, Institute of Education, Niger Delta University not later than Friday 2nd August, 2019.